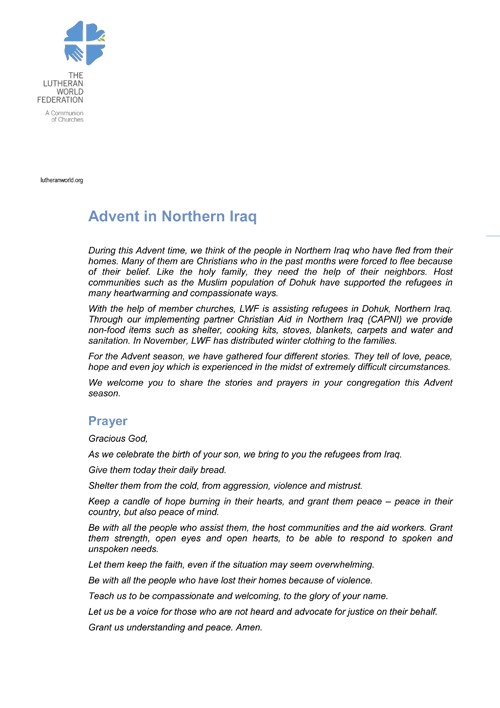 For the Advent season, we have gathered four different stories from Northern Iraq, where LWF is assisting refugees. They tell of people who had to flee from their homes. These stories are about love, peace, hope and even joy in the midst of extremely difficult circumstances. We welcome you to share the stories and prayers in your congregation this Advent season.